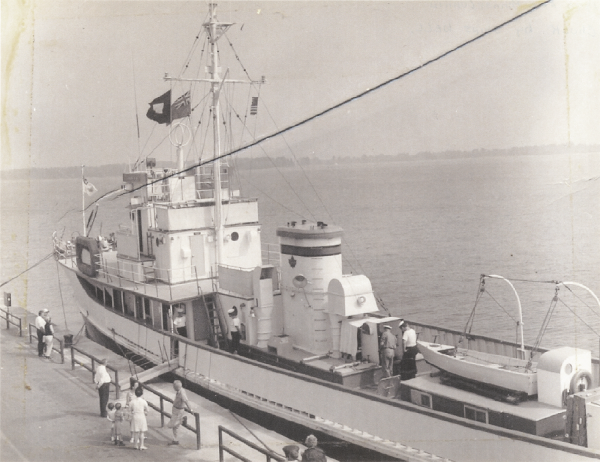 As a follow-up to the previous post (http://yms299.org/archives/35), I’ve been sent a handful of additional photos of YMS-299 in post-war service as a cadet-training ship in Canada. Photos provided by Charles “Chuck” Donaldson. I’ll come back to this post and update with as much date/location info as I have for each. This entry was posted on June 25, 2010, 8:23 pm and is filed under After the Battle, Photos, Seacadets, Ships. You can follow any responses to this entry through RSS 2.0. You can leave a response, or trackback from your own site. 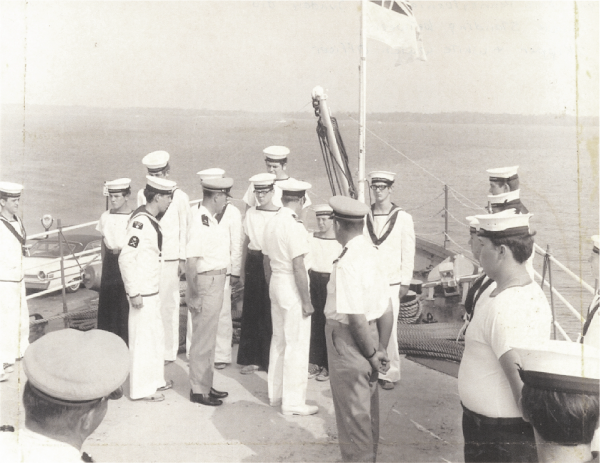 As a former commanding officer of Rhea ((July 1956 – August 1957), I was pleasantly surprised to find this history of my first command in the US Navy. 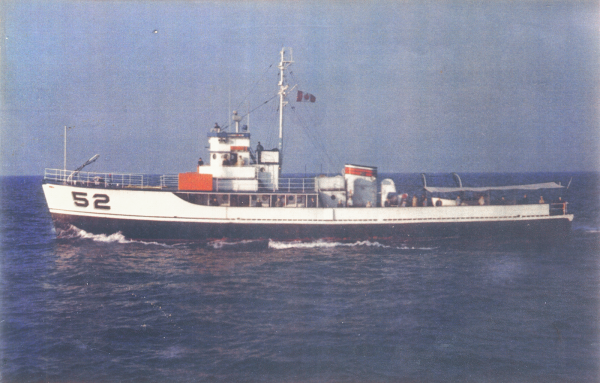 In addition to the operations mentioned in the history during 1956-57, Rhea also participated in Operation Springboatd 1957, conducted in the waters of the Caribbean. All of Mine Squadron Four transited in formation from Charleston, SC, to San Juan, PR, in the midst of a storm that saw green water crashing over the open bridges of our minesweepers. The quartermaster of one of the sweeps was swept overboard at night the third day of transit, and was lost at sea duiring that storm. After arrival in Puerto Rico, we were detached to conduct independent minesweeping exercises, and we found the sheltered waters of Caneel Bay in the Virgin Islands to be ideal both for day ops and for night anchoring, a beautiful tract of the sea. 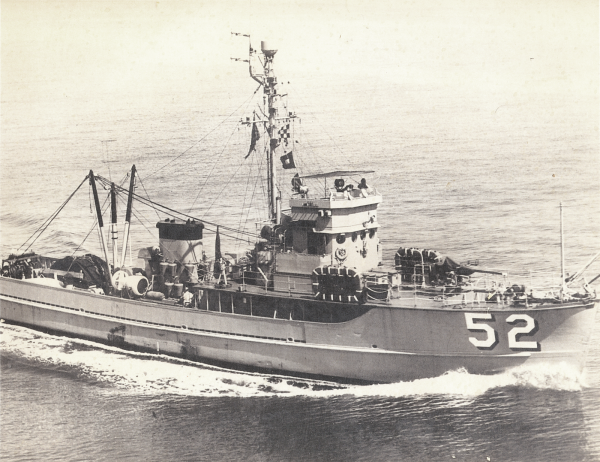 We also had the opportunity to operate with several minesweepers of the RAN during that time. Incidentally, in 1956, as I recall, the US Navy was building new minesweepers designated MSC for “coastal minsweeper,” and the designation AMS was replaced with MSC (O) standing for “coastal minesweeper (obsolete).” The latter word in parentheses did not do much for morale, to say the least, but we made the best of it. I personally consider my tour in minesweepers, first as XO of Crow(MSC(O)-7) , followed by command of Rhea, as priceless learning experiences, both in gaining considerable skill in shiphandling, and in learning the art of command at a relatively early stage in my naval career.